Since 1993, Joan has held the position of Vice President of International Operations for the family’s wine portfolio. Equipped with knowledge of agriculture, wine making and consumer trends, Joan went abroad securing distribution for her family’s wine brand. During her tenure, she has been instrumental in positioning the family’s wine brands into the global marketplace and has successfully grown the brands to represent about 30% of the Kautz Family Vineyards portfolio total sales. That growth has enabled her to launch several other labels that have been created solely and specifically for international markets. Kautz Family brands are sold in about 50 countries worldwide including Asia, North America, South America, Caribbean and Europe. Today, Joan handles all branded wines for both the international and domestic markets. This has included creating new brand strategy from the products through to the packaging, distribution and sales. Before graduating from California Polytechnic State University, San Luis Obispo with a Bachelor of Science degree in Agricultural Business (Foreign Policy concentration), she held internships with the Republican National Committee in Washington, D.C. working in their Political Division and also was an Intern for Congressman Norman Shumway, working as a Legislative Assistant. In 1992, she was the Personal Assistant to the United States Secretary of Agriculture, Clayton Yeutter in Houston, Texas during the National Republican Convention. Prior to making her way to Capital Hill, Joan paid her dues working summer jobs as Manager at Kautz Family Farms produce market, a parimutual messenger at the California State Fair Racetrack, as well as trained and competed in equestrian competitions where she was crowned World Junior Champion-Working Cow Horse competition. 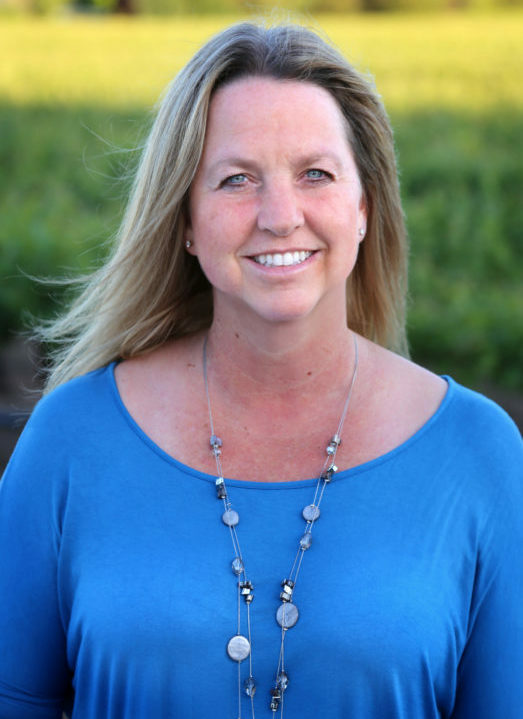 An active member of numerous wine organizations including being a Committee Member with California Wine Institute Export Program, Joan is involved throughout the industry. She is the family’s global visionary; and is passionately determined to make Ironstone Vineyards an internationally respected and well-known brand. Joan is married to Douglas Johnson and they have two daughters, Madison and Jenna Rae. In her spare time, she enjoys the girl’s activities, riding horses, basketball and many other social events.